Information maybe free, but education is priceless! 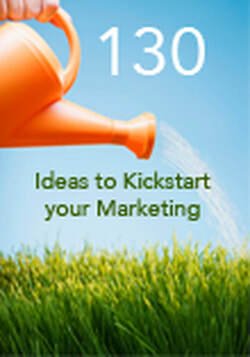 ​If you run out of marketing ideas get the 130 Tips To Kickstart Your Marketing. If you are not sure if you fall under the category hobby or business, take the quiz! Any artist aspiring to live off their skills could certainly use some art business tips to help them make a success of their art business. The purpose of this book is not only to provide some informative tips and guidelines for succeeding in business as an artist but also to share some useful tools that you can leverage in your art business. Reviewing the WHO, What, When and Why of marketing. Learn to understand the world around you, the buyers, your own situation, directions and decision making. I highly recommend this publications for every professional. It covers most important areas of an artist relationship with galleries, buyers, agents, dealers, sponsors and commissioners. This is not to be missed. A great source to get a professional inside into the world of pricing an artwork. If you run out of ideas you will find a friend in this booklet of 130 ideas to kickstart your brain. Discusses the role of Arts Marketing, Planning Marketing Programs, determining consumer needs and identifying markets, writing an effective Marketing plan, analysing and pricing your core product or services. .Packed with information this book gives a long list of useful tips. If this is too much for you, chose the topics you are interested in. This book provides case studies of leading Australian creative Businesses and is a great contribution, written by experts of the industry to help with relevant information every creative person can use. One of the newest Economic Studies of Professional Artists in Australia. This book is a summary of indicators for Australians experiencing arts, artists, arts international and cultural economy. Manage the mundane and create the extraordinary is the motto of this publication. It teaches to priorities, ring-fence, what to avoid and what to get done. A sweet short guide to copyright covering copyright, intellectual property, patents, trade marks, designs, regulations. Responsibilities and rights of artists. A census analysis of arts in Australia and what it means to an individual artist. A great book for both mentors and mentorees including a checklist for each. It explains what mentoring is, the benefits, effectiveness, stages of relationship, pitfalls and how it is being done. A neat and useful publication covering SWOT analyses, growth strategies, visions, missions, goals and objectives. Critical success factors and marketing goal and objectives. A highly acclaimed guide to the business of creativity to help people to combine their passion with business from marketing, intellectual property and business strategy. The Australia Council for the Arts has invested more than $44.4 million in grants for international activity, supporting 1830 artists and organisations reaching 93 different countries. This is a summary of projects snapshots. This is an excerpt from the book "Hurdle, the Book on Business Planning". It includes how to identify your customers, assess the real risks when starting your own business, choosing a name, choosing a legal structure, licenses, permits, funding, estimate start-up costs. Covers elements of serving on the board of an arts organisation. Its legal compliance's, financial responsibilities, strategic planning, effective meetings and monitoring information. A short sweet Business Plan Model providing you with a quick overview how to plan an art business. It breaks from the traditional way of business planning to a modern way of approaching a business plan. This is a comprehensive preview of a book you can purchase. www.businessmodelgeneration.com also has a wide range of free Online sources for download. A guide to basic legal issues including copyright, employment, and contracts for artists.